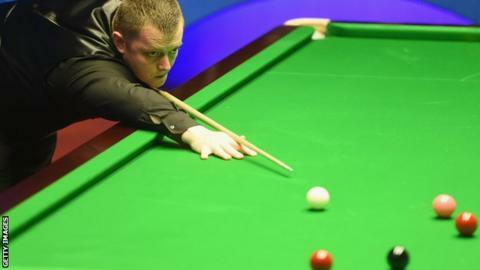 Mark Allen eased to a 4-0 victory over Ryan Day in the Bulgaria Open final to win his first title in 15 months. The world number 10 from Antrim compiled breaks of 65, 76 and 56 against Welshman Day in Sofia. The title earns Allen 25,000 euro and a place in the Champion of Champions event, which starts on Tuesday. "I'm very happy to get another tournament win under my belt - to win 4-0 in the final shows my game is in good shape," said the 29-year-old. Allen won seven matches in Bulgaria to secure his third ranking event success. He will be back in action on Tuesday with a first-round game against Barry Hawkins at the Champion of Champions in Coventry. "To get a place in the Champion of Champions is a massive bonus and I'll be going into it with a lot of confidence having won in Sofia." added Allen. "I haven't been too happy with my performances this season even though I've been winning matches, but now I'm getting closer to where I want to be."